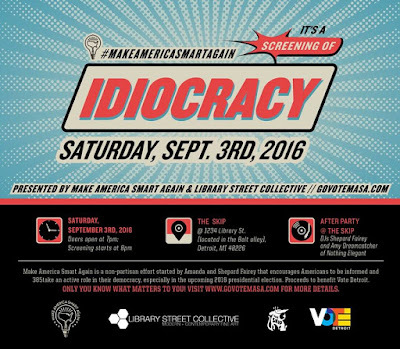 #MakeAmericaSmartAgain (MASA), a voting initiative founded by Amanda and Shepard Fairey was created to combat voter apathy and the spread of misinformation. 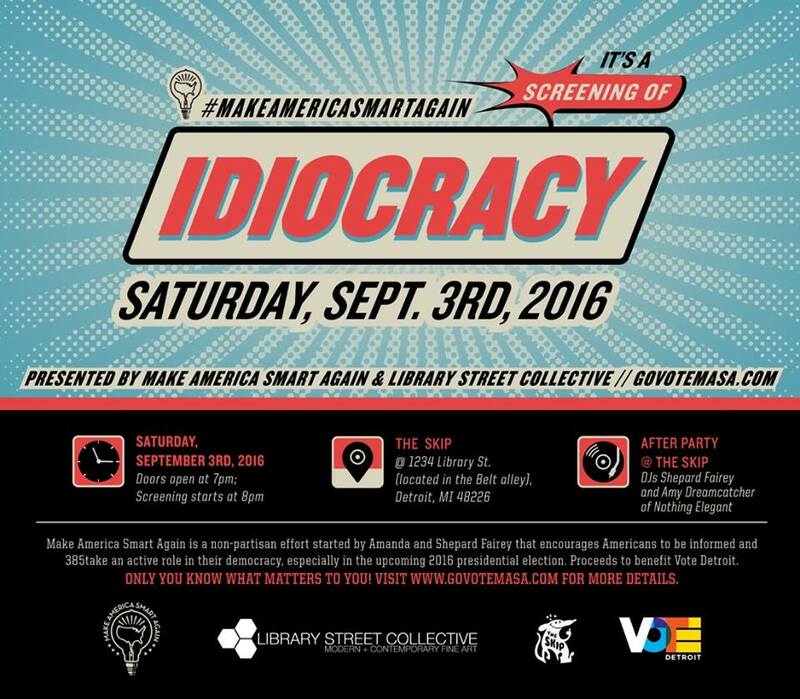 On Saturday, September 3rd at The Skip in Detroit, MASA and partners Library Street Collective hosted a screening of "Idiocracy," a cult comedy directed by Mike Judge that satirizes the rise of commercialism and decline of human intelligence in a future dystopian society. Fairey alluded that the movie is now better categorized as a documentary. The film was selected as a tool to remind and inspire audiences to use their brain and participate in our democracy. A community discussion was held prior to the screening featuring panelists representing Detroit Soup, the RTA Master Plan as well as Fairey. After the screening The Skip hosted an after-party featuring local DJ Amy Dreamcatcher of Nothing Elegant and Shepard Fairey AKA DJ Diabetic. 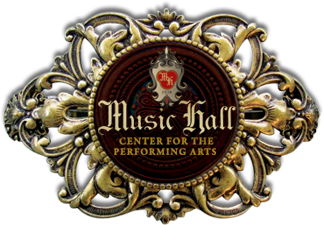 The event was free to all guests. A select number of #MakeAmericaSmartAgain t-shirts and pins (produced by OBEY Clothing) were available with donated proceeds to benefit Vote Detroit, a local grassroots initiative fighting to ensure that the voice of every city resident is heard in the upcoming election.